VIBRATION PROOF & WATERPROOF: The construction of the light is super durable making sure you will have a robust and reliable product for years! The vibration from the engine will not have any effect on the light so that you can safely use it while cruising your watercraft! The shell is made of aluminum which has great anti corrosive effect. The shell surface is titanium alloy plated that not only increases the gloss design and fell but also further enhances corrosion and wear resistance! GREAT LIGHTING SYSTEM: With 9 high-power 3W CREE LED lamps, the total lightning goes up to 27W lighting! It also provides 180°viewing angle and luminous flux 1800Lm! All in all, the brightness of the lights is great! Not need to mention how cool it looks at night on the water! CAREFULLY DESIGNED TO COVER ALL YOUR NEEDS: The light also features good heat radiation! Aluminum housing and titanium alloy plated form a good cooling system to protect the light and extend the lifetime of this product! Even if you forget to switch it off, it will turn off automatically! 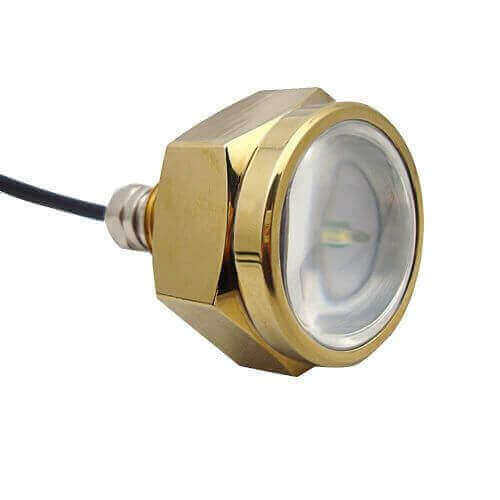 – Amazing 27w Drain Plug LED Underwater Light – 1/2″ NPT Threaded. – No modifications necessary here! 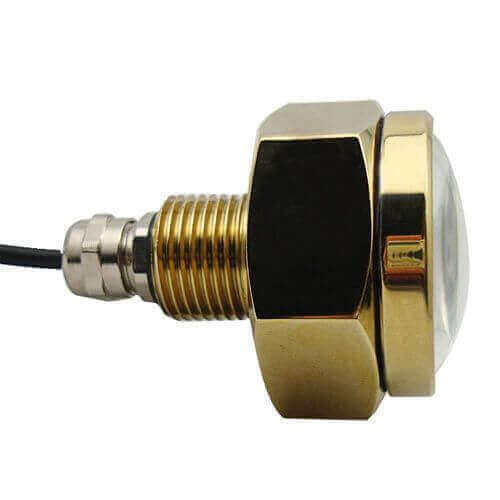 Well designed with user in mind and super easy to screw into your existing boat’s garboard drain with the 1/2” NPT threads! 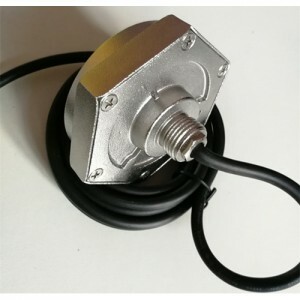 – This drain plug system run on 12 or 24V and boasts an inline connector for easy and quick removal or reattaching. 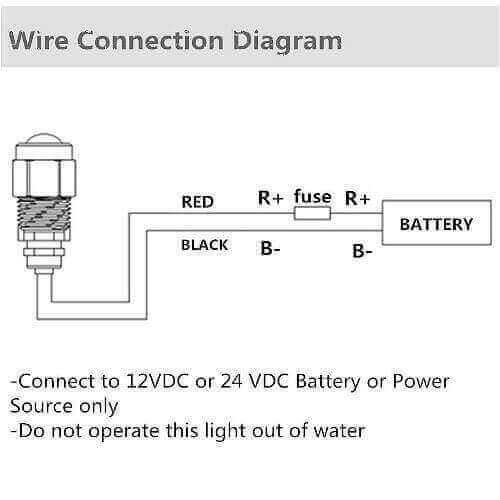 You will need to hard wire it. – Incredibly bright! 27w Output supported by 9 CREE LED Lights. – 1800 Lumens Light Output and 180 Degree angle. 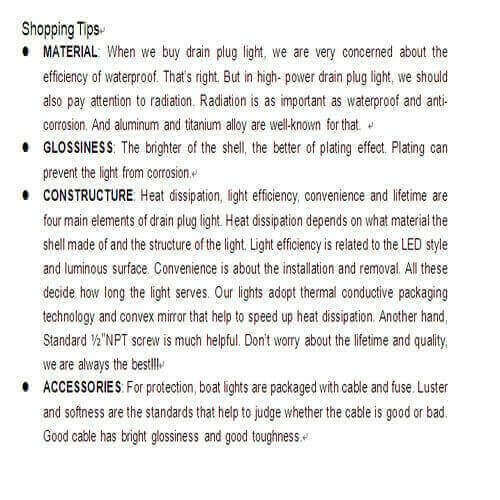 – Product comes totally sealed with IP68 Waterproof rating back up. – Quality product and finish! Made of gold titanium to resists corrosion and scratches. 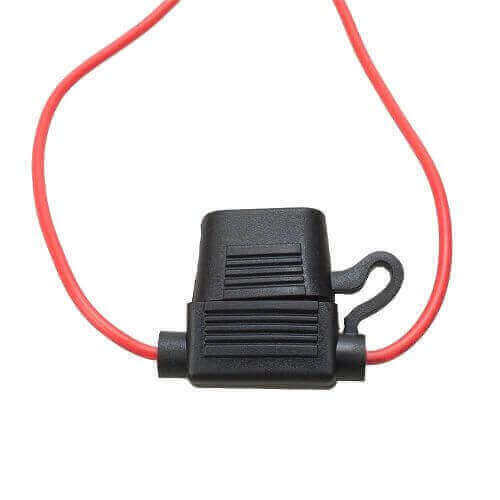 – Our superior design and craftsmanship Boat LED Lights are perfect for night fishing or diving, to attract fish bait or lobster or just for nighttime boat illumination. – See and catch more fish with our system! – Useful to load your boat on a dark night at a dark spot. – Light up your boat ramps and make sure you are seen on the water. – Stylish addition to your boat! 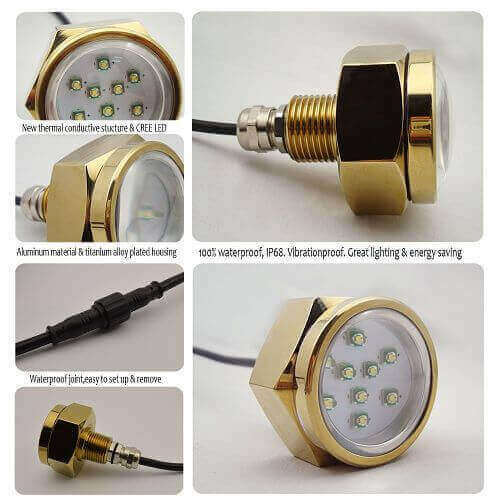 Why choose this Drain Plug Underwater LED Boat Lights? Easy installation, no need to drill holes in your transom. 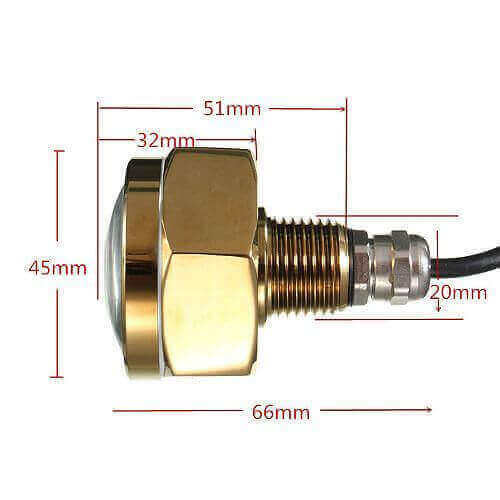 Strong and small stainless steel 316L waterproof housing. Super bright LED Lights, 380 Lumens. Product designed to last around 100,000 hours. Draws less than 1 amp of power – the lowest in the boating industry. Low profile waterproof light design is aesthetically appealing. Great investment which can be easily transferred to another boat. Come with a manufacturer 1-year warranty. Make Your Boat Stands Out! Bright It Up & Enjoy A Completely Different Night Boating Experience! Are you looking for a way to upgrade your boat but do not want to spend a fortune on a full renovation? You are right! Why spending so much money when you can improve your boat’s look, design and functionality just with one product? 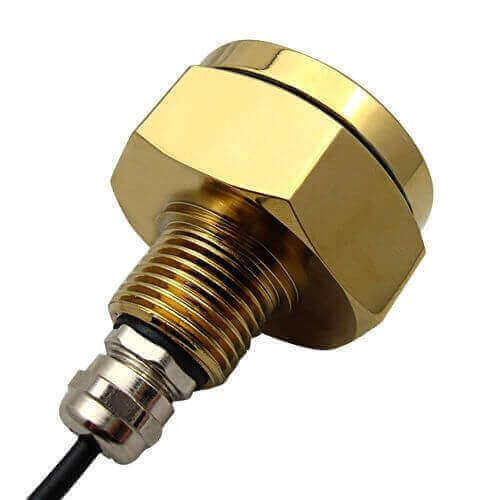 Install This Amazing 9 LED Boat Drain Plug Light on Your Ship And You Will Instantly Notice The Difference! 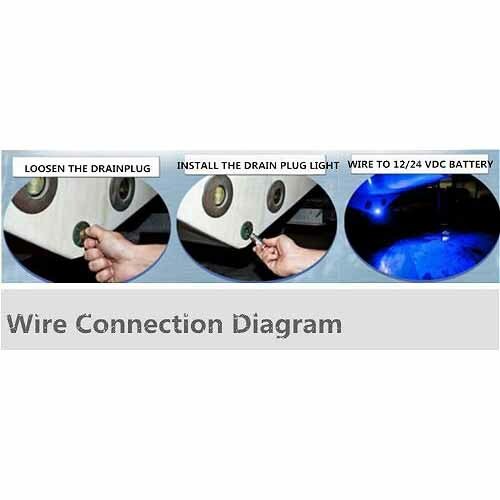 The LED drain system will offer broad light range around your boat offering a great boating experience! You will be able to see where your anchor is, or tie your knots of your sailing vessel without struggling using annoying torches! A “Must-Have” Product For Fishing! Do you love fishing? Do you think you perform well at it? Well, you can definitely do better! Helped with extra lighting, you will attract the fish making it easier for you to catch a bigger haul! Perfect For Performing You Favorite Water Activities At Night! Apart from fishing, you can enjoy night swimming or diving like never before! The lights will create a beautiful ambiance and a safer environment for you and your family or friends! While in total dankness you may encounter some dangers that are not visible to you! Make sure that your boat is visible to the others and that you have a clear sight of what’s happening around you, so as to avoid unpleasant incidents! Don’t Squander It! Your Boat Needs It – Order NOW!